Sailing on Sunday with the RSYC. Nearly every weekend I go sailing with the two yacht clubs of which I’m a member. The early cruise on Sundays is with the Rainbow Sails Yacht Club, and the afternoon cruise is with the Leeward Cruising Club. 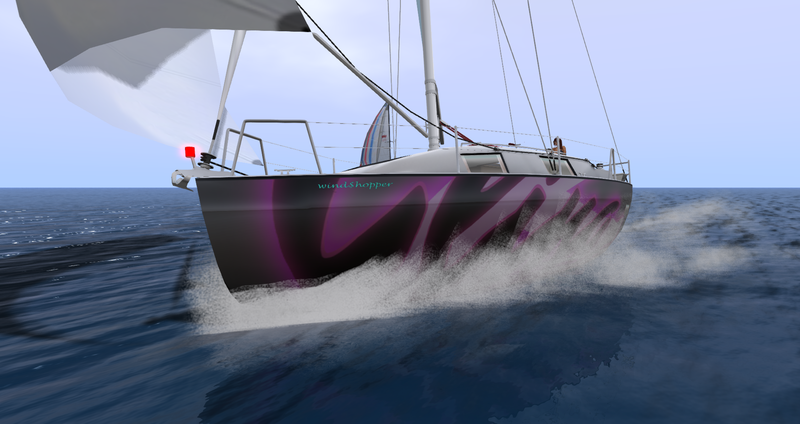 I’m still very much a neophyte sailor, but sailing has rapidly become one of my favorite activities in Second Life. It’s a passion I really want to share, so I thought I’d talk a bit about getting started if you want to give it a go yourself. The BWind BBK – the perfect starter boat! So this is a BWind BBK – it’s a one-man sailboat that you can get for the best price around: free! Stop by Tradewinds Yacht Club and pick one up. It comes with a notecard that has some pretty good rudimentary instructions and is pretty straightforward. There’s also a little ‘how-to’ video available. It’s a fun, agile little ship to sail that really gives a great feeling for sailing on a wind-powered vessel and has a great sense of speed. If you’ve ever been curious about sailing, this is where I would start. Get a free one, rez it at Tradewinds, skim the instructions, and set sail. Eventually, you’ll probably want a boat you can bring a few friends out in…or something bigger…or something that looks nice in pictures…or just something that’s just a little more fun to sail than the BBK. There are A LOT of options and I don’t want to tell you what to get. I can tell you what the first larger boat I bought for myself was, and that’s the Loonetta 31 by Motor Loon, which is what I’m sailing below. The Loonetta is a great beginner boat and I still sail mine very frequently. It’s also very reasonable as far as higher-end sailboats go at 3500L. The Wind$hopper! Complete with custom Cling hull texture! 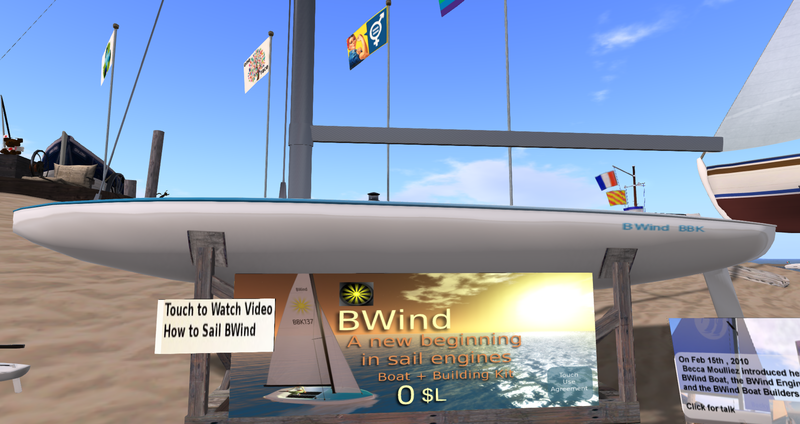 The next time you ask yourself, “What am I gonna do in SL today?”, pop over to Tradewinds, get yourself a free BBK and try sailing! Linden Labs absolutely nailed sailing in SL, it’s super fun, really rewarding, and there’s such a neat community surrounding it – many of whom I’m sailing with every weekend.